Wow... that’s all we have to say! The response from the ‘Tallica fan universe to the announcement of our show with the San Francisco Symphony blew us away, in fact, it was completely and totally overwhelming – thank you! However, we also understand that for a great number of you, it brought frustration and disappointment as the supply of tickets fell way short of demand. We’ve heard you and we’ve learned from our missteps with this particular ticket on sale. We’re working to make this right as we are excited to announce that a second show has been added at the Chase Center in San Francisco on Sunday, September 8th. First order of business: No public on sale this time! 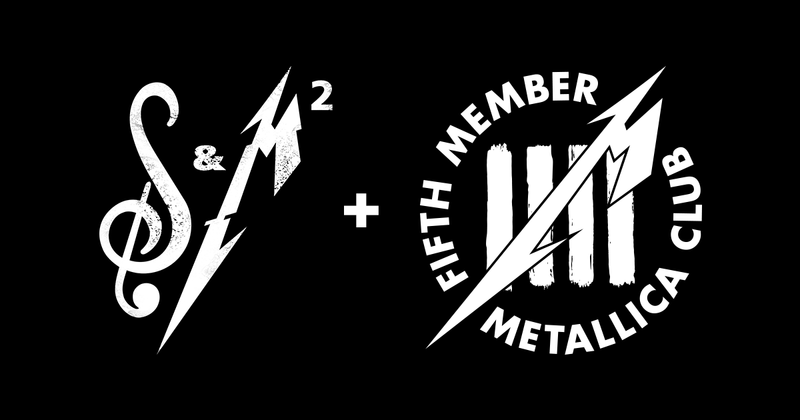 Tickets for the second S&M² show will be available exclusively to Fifth Members. We’re thrilled to continue the celebration of this world-class arena’s opening, to share the spotlight with the Golden State Warriors, the SF Symphony, Michael Tilson Thomas, the Chase Center and what this event represents to the city and the people of San Francisco. The second show gives us a chance to celebrate in a unique and very special way with all of you, the die-hard Fifth Members. We’re all huddled at Metallica HQ now working out a plan to give every one of you the most fair and equal chance at obtaining tickets (and to do everything possible to keep the bots from getting any). Under the full disclosure umbrella, due to contractual obligations with the Chase Center there will be a small number of tickets available to Golden State Warriors season ticket holders, but the rest of the house will be all of you and only you... just the Metallica Fan Club family. This is going to take a little time to get as close to foolproof as we can get it, so please sit tight for a few more days and we’ll be back with more details. Thank you for all your comments, suggestions and most of all your support and patience! Stay tuned, watch this space.